Countless words have been spoken, tweeted and typed about the recent national anthem protests. My two cents: respect is a real and solid attitude but the ways we demonstrate respect is fluid. The signs of respect are a cultural construct. When I was growing up in White Southern Christianity, it was disrespectful for women and girls to wear pants to church. In some traditions, for many years, it was disrespectful for women to attend church without a head covering – a hat or a scarf or a veil. Even today, in many Black churches, it continues to be a sign of respect for women to wear hats and men to wear suits. In my current church culture, women aren’t expected to wear head coverings but men still remove their hats. Other signs of respect include standing, bowing and kneeling. I usually stand, I rarely kneel and I never bow. Is that disrespectful? In my Southern culture, it was disrespectful for men to wear their hats at the dinner table; however, that was not true for the women in the room. Now, men wear their ball caps and cowboy hats in diners and restaurants all over the South. In my world, it was disrespectful to call an older person by their first name; we called our elders Ms. Daisy or Mr. Smith. I still do that out of habit and respect when I greet my Meals on Wheels friends but now I call other people who are old enough to be my parents by their given names. Am I being disrespectful? When I attend Rotary meetings, I am happy to stand, place my hand over my heart and recite the pledge of allegiance because I still believe in the ideals behind those words (even though I have never actually seen my nation live up to its promises!) But then I remove my hand and stand silently when the rest of the room recites the pledge to the Texas flag. 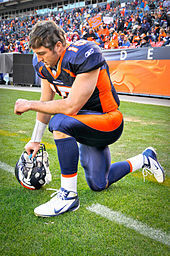 Tim Tebow knelt on the football field every time he scored a touchdown. I understand that to be a sign of respect for his God even in the midst of a very secular setting. Was he scolded for using the NFL to flaunt his personal beliefs? Was he chastised by fans because he was praying on NFL time? 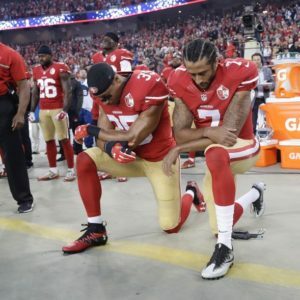 Colin Kaepernick knelt on the sidelines whenever the national anthem was played. I understand that to be a sign of respect for the ideals of the Constitution and a protest of the ways America continues to fall short of its ideals. Was he scolded for using the NFL to flaunt his personal beliefs? Was he chastised by fans because he was kneeling on NFL time? The answers to the above questions are either “yes” or “no” depending on which “side” one is on. Ironically, both situations can be seen as positive examples of the First Amendment in action. The freedom to express one’s faith. Too many different “sides” in this controversy have disrespected the various embodiments of our Constitutional guarantees demonstrated in Tebow and Kaepernick. The signs and symbols have become more important than the actual, core values of America. That is why this has become such a divisive maelstrom. Signs of respect are cultural constructs. And over the years, those signs, those symbols of respect evolve as cultural traditions and expectations change. But a person’s core attitude of respect and true patriotism can only be discerned by behaviors deeper than superficial signs. Not by kneeling or standing, not by words we mouth or decorations we wear on our lapels. But rather by the ways we actually participate in our national life together. The ways we understand our role as Americans and live that out as citizens within a shared and equitable society. Let’s go deeper. Let’s be wiser, America. Let’s stop hyperventilating over superficialities and find the ways we can work together to truly help America be great and kind and good and committed to her promises. And let’s stop judging one another. Instead of accusing and demonizing, let us strive to presume good intentions of our fellow citizens and find our way to common ground. Let’s build something great together with mutual respect and courageous conviction. Here are two excellent pieces I recommend. Dale Hansen’s challenge concerning the hypocrisies of the current anthem kerfuffle. 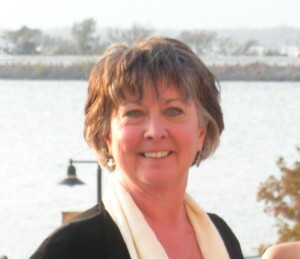 very articulate, perceptive, wise commentary–thank you, Charlotte!